Last Monday, March 30 WHOAS was fortunate enough to have a team of Veterinarians and vet students attend at our handling facility to begin the gelding process for all our young boys. WHOAS volunteers were also out in force to assist where necessary and of course do the regular maintenance and feeding of the horses. 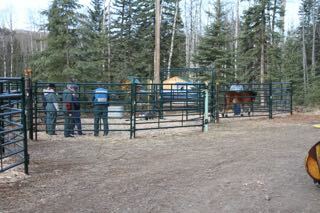 Pictured above the vet teams prepare to work on the first young colt, “Teddy”. 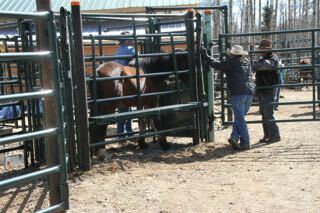 Each of the colts and studs were first placed in our handling chute. This kept everyone safe and the horse a lot calmer. 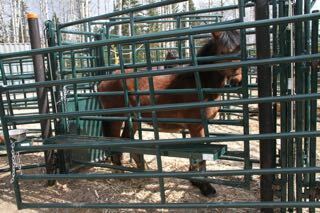 Once in the chute a sedative was administered to the animal. 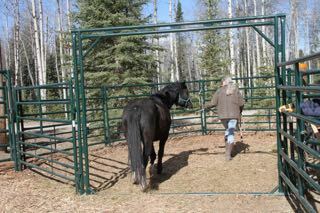 Once sedated the horse would be walked down to one of the pens we had set up as operation areas. Here the knock out drug was administered by the team as one of the WHOAS volunteers kept control of the young horse until he laid down. At this point the team went to work, first checking their vital signs and assuring the animal was completely under. Teeth were examined and wolf teeth extracted. Blood tests were done on each horse also to assure that they were okay and oxygenating properly while under sedation. Once all this was done one of the vets or a student under direct supervision gelded each individual horse. The actual operations went quite well and quickly. It was the recovery time for each of the horses that kept things moving slowly, but safely for the young horse. Each young one was given adequate time to come out of the sedation and recover to his feet. Once on their feet and somewhat steady, each of the young boys was led by volunteers to a recovery pen. 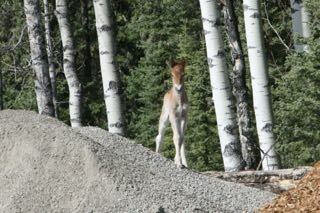 Here again they were kept under observation for about an hour before allowing them to eat. As any horse owner knows cleaning pens and poop patrol is ongoing. 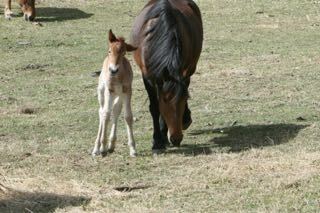 We are so grateful for the volunteers that show up and help out with chores to take care of these wonderful creatures. Once that job is done, everyone takes part in the continuing gentling. Here is beautiful Louie, quite complacent to sleep it off in the sunshine. We wish to thank everyone who showed up on Monday – the vets, students, volunteers and even the visitors who watched and photographed the proceedings of the day. 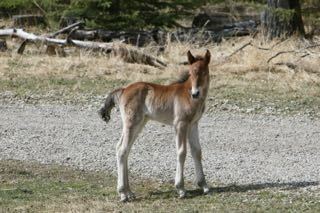 We hope to have all the colts that were gelded on their way to their new homes by the second weekend of April. We still have 5 boys that need to be gelded and we hope to have that done as soon as we can in order that they too can go to their forever homes. I absolutely love and look up to what you guys are doing for the wild horses and if i can would love to come out and see the new place and perhaps volunteer if i can, who would i need to get in contact with for visiting ?